My name is Tomas Fojta. I have 10+ years of experience in managing IT, project management and datacenter design. My biggest interest is in virtualization and cloud. I was awarded vExpert 2014-2016 title for my contributions to VMware community. 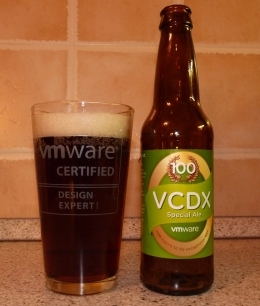 Currently I work as Principal Global Cloud Architect at Global Cloud Practice, vCloud Air Network at VMware. This blog is my personal one and in no way represents the opinions of my employer. I would like to publish your blog entry ‘EMC Cloud Architect Certification – Training and Exam Experience’ to the Linkedin Group – Cloud Architect Network. Also you can add your profile to the SubGroup Cloud Architect Profiles. This may help you find a career as a Cloud Architect.